After our Viking River Cruise, we were already in Europe and not quite ready to leave yet. So, we hopped on a quick flight to Copenhagen and settled in for a week of exploring! Copenhagen is quite a larger city than I expected, with so much to see – there’s fantastic food, great museums and incredible shopping. 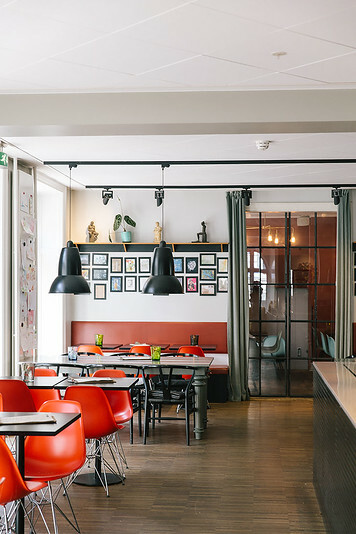 We based ourselves for half the week at Ibsens Hotel, located right in the heart of Copenhagen and close to the Rosenberg Palace, Torvehallerne Food Hall and much, much more. Ibsens is part of Arthur Hotels, a boutique hotel group with a wonderfully relaxed atmosphere with a sister hotel Kong Arthur. 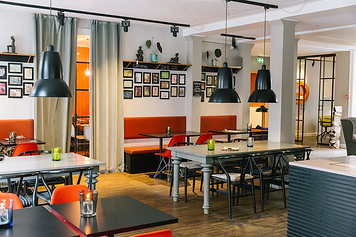 We chose Ibsens Hotel Denmark for its prime location near Norreport Station but found so many other things to love! 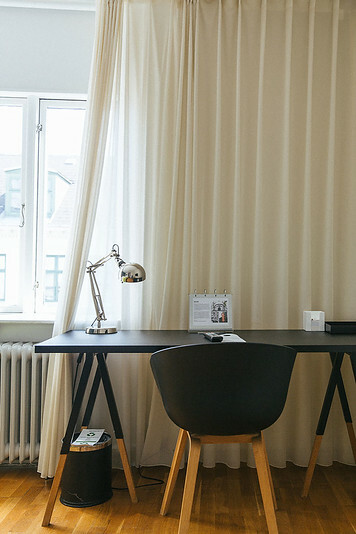 Keep reading for my in-depth hotel review for where to stay in Copenhagen. Or, check current rates and availability here. From the airport, it was quite easy to navigate our way to Ibsens. Just take the metro M2 line from the airport and get off at Norreport Station. One thing I love about Copenhagen’s metro system is that they provide elevators which take you 3 levels deep to the street quickly and easily! If you’re traveling with luggage, you’ll definitely want to walk to the end of the subway platform to nab the elevator. Tip: Purchase the Copenhagen Card before your trip and validate it at the airport for free transportation on your trip. It covers the metro, bus and trains both in Central Copenhagen and for all the day trips outside the city. Available for 24-, 48-, 72- and 120-hour cards – check rates here. 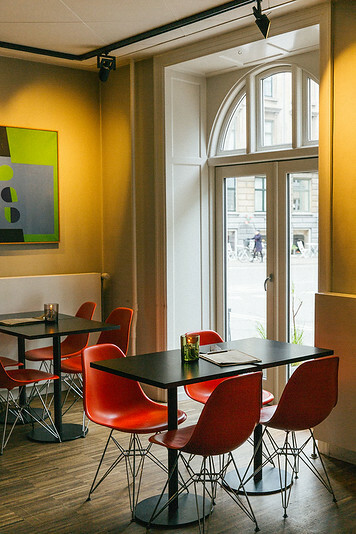 Ibsens Hotel is part of the charming neighborhood around Nansensgade. It’s laid-back on the side streets and bustling on the main streets, which is the perfect location in my opinion. Just be careful of the bikes! Copenhagen is a biker’s paradise. 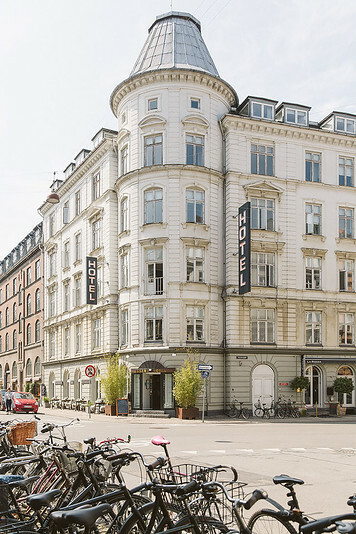 Ibsens Hotel offers bike rentals to its guests if you want to zip around the city. It’s quite safe as bikers have their own lanes. The lobby is quite spacious, with a bar / coffee shop area, tons of tables, separate dining nooks and even an outdoor courtyard. Check in was quick, prompt and efficient and we loved the stylish, quirky furniture. We found all the staff to be friendly, helpful and smiling. There’s even a sign in the cafe section encouraging you to ask them questions – if they don’t know, they can Google it for you! There’s a yellow chair right by the entrance along with a rainbow graffiti-ed dresser. This is the safe deposit box, where you can store small valuables. It’s right under the watchful eyes of the staff by the front desk. WiFi is included with the room rate, and after a week on board a ship with satellite reception, we found Ibsens Hotel’s WiFi to be blazing fast. There’s also a TV in the room with some English-channels but we mostly spent our time outside exploring. Size – Our room was located on the 5th floor and was a wonderfully light filled, spacious corner room. Every room in Ibsens Hotel is unique, as the building is quite historic and therefore all the rooms are different sizes and layouts. If you’re worried about a small room, I would definitely recommend upgrading as it can be quite a size difference. 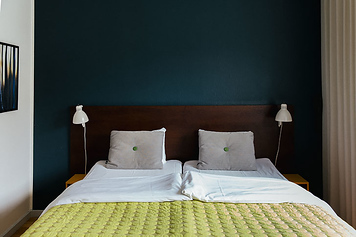 Danish Designed – Inside, the atmosphere and design is very Danish minimalist, with a colorful bedspread and desk and hardwood floors. There aren’t cupboards and closets like you might find in an American hotel – instead by the entrance there were colorful geometric cubes to organize toiletries and hang up coats while the bed was cleaned daily underneath to provide luggage storage. I tend to live in my packing cubes and never unpack my suitcase so all the extra floor space suited me just fine. Wet room – One thing to note – you might be slightly unprepared for the Danish style wet room. Danish bathrooms are fully tiled, head to floor, without a bath tub. Instead, there’s a curtained off shower section. I have to admit, it took me off guard at first, but I quickly got used to the trick of not getting the entire bathroom wet! 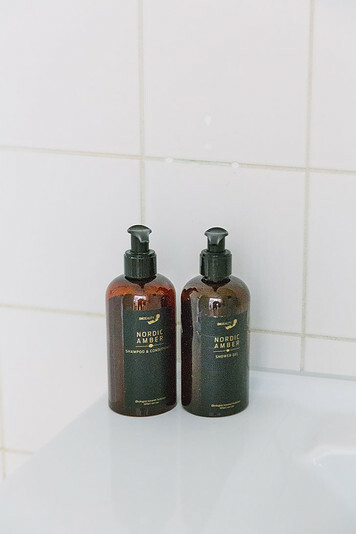 Finally, Ibsens Hotel uses Nordic Amber bath products, which are organic and locally sourced. One thing that solo travelers will love is the daily happy hour in the lobby. 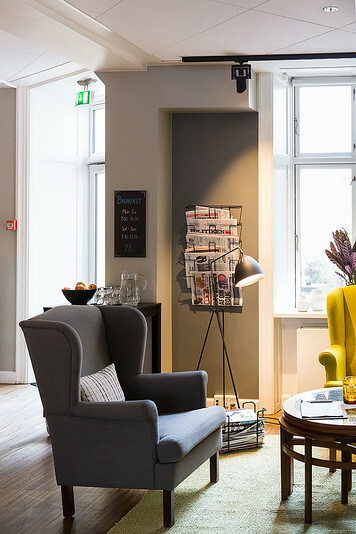 Every evening, Ibsens Hotel encourages its guests to mingle and socialize with a free glass of wine or beer during cocktail hour. I thought that was such a nice touch! There’s plenty of chairs and seating and the lobby is so well designed that it’d be a shame to not take them up on their offer. 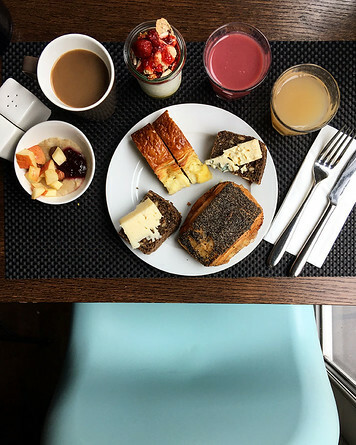 If you’re staying at Ibsens Hotel you absolutely need to add their breakfast to your stay. 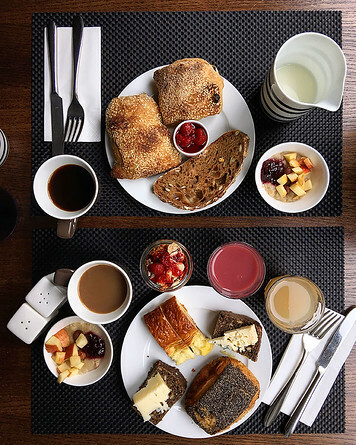 This isn’t any old skimpy American continental breakfast – this is an introduction to flavorful, wholesome Nordic cuisine. It’s fresh, it’s local and it’s almost entirely organic. It’s also quite extensive so you get some serious value for the price. 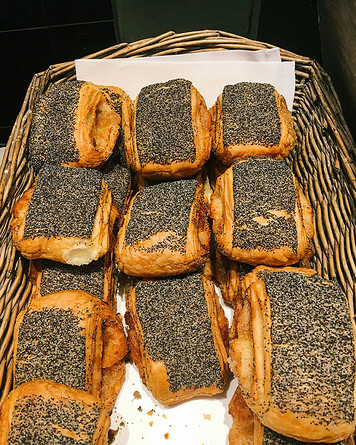 There’s a variety of Danish breads – thick, hearty, whole oat doughs that pair wonderfully with the variety of cheeses, chocolates and local berry fruit spreads that they offer. There was also Danish grød, or porridge, topped with nuts, apples and jams. Hard-boiled eggs for protein lovers, honey-layered yogurt, rhubarb jams, Danish pastries filled with nutella and cheese, and a complete array of healthy toppings like honey, chia seeds, almonds, etc. This was one filling, healthy, delicious breakfast! To drink, they offered coffee and fresh squeezed juices. I also loved the tea bar that they offered on a cute bar cart. Trust me, you’re spoiled for choice! 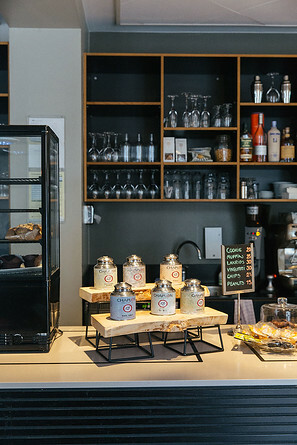 Overall, Ibsens Hotel provides a very authentic introduction to Denmark, from its delicious, organic Nordic breakfasts to its Danish-furnished rooms. 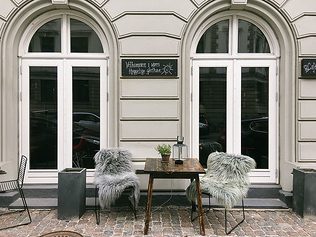 Staying here not only puts you in the heart of the city but immerses you in the Scandinavian lifestyle! Do you prefer hotels or AirBnB when you travel?